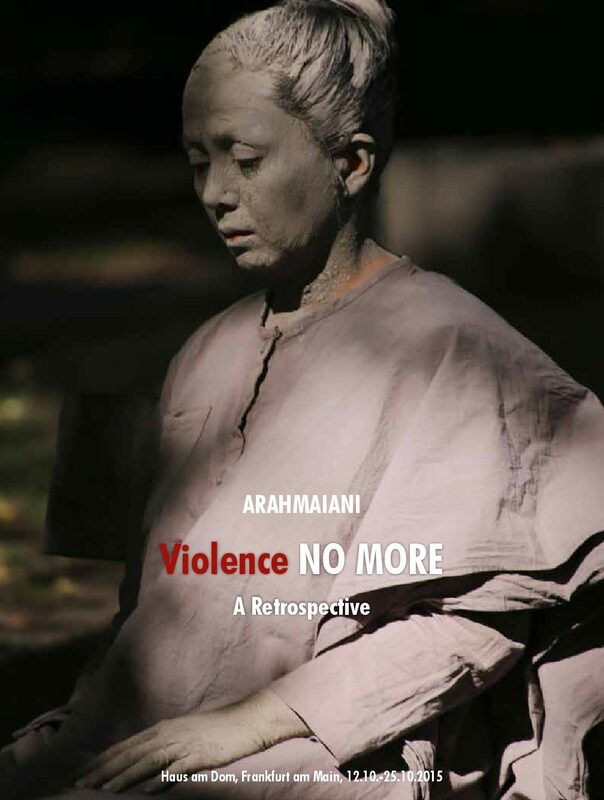 One of Indonesia’s most seminal and respected contemporary artists, Arahmaiani has long been internationally recognized for her powerful and provocative commentaries on social, political, and cultural issues. 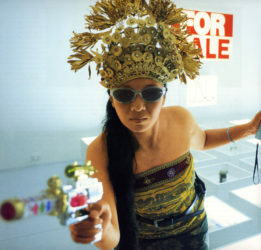 Born in 1961 in Bandung, Indonesia, she established herself in the 1980s as a pioneer in the field of performance art in Southeast Asia, although her practice also incorporates a wide variety of media. 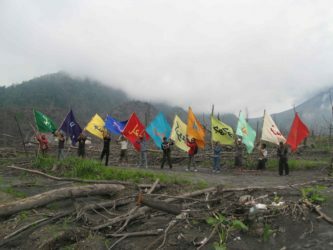 A major survey of her work will be presented at Museum Macan in Jakarta, Indonesia, from November 17 – March 10, 2019. 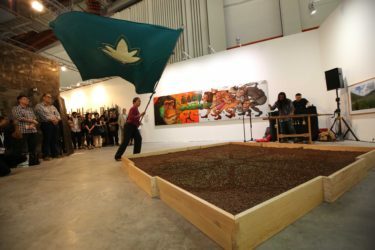 Entitled The Past Has Not Passed (Masa Lalu Belumlah Berlalu), it will feature over 70 works from the 1980s until today, including paintings, installations and re-enactments of iconic performances presented alongside some of her most recent projects. Her first solo exhibition in the United States, Fertility of the Mind, took place at Tyler Rollins Fine Art in 2014 and constituted the first ever survey of over 30 years of her performance work, along with a presentation of selected key installations from the 1990s. 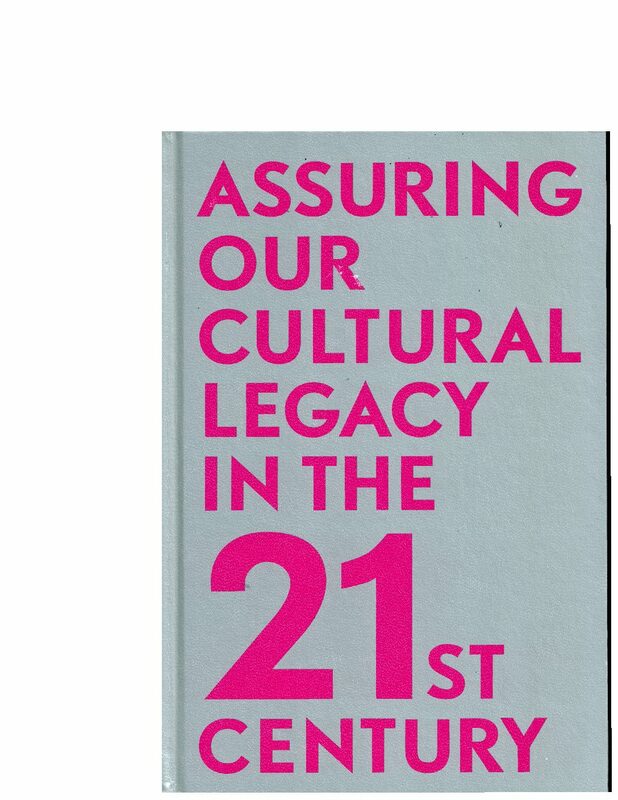 These performances foreground a long and enduring personal and spiritual journey, a process whereby nothing is spared, all is equally scrutinized. 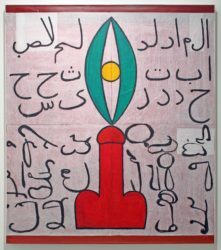 They form an ongoing exposé of narrow dogmas, destructive patterns of thought and action, and misguided government policies, all of which plague humanity – a critique that is manifested in her peaceful, symbolically rich, and often hauntingly beautiful ceremonies, collective marches, and texts that instigate individual and collective vigilance against ignorance and injustice. They point to a common humanity that transcends divisions. 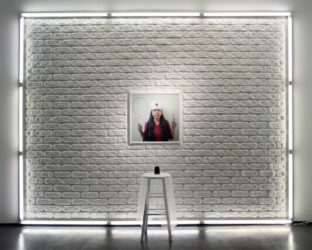 Through her performances and other artworks, she acts as a formal and conceptual medium for communication, connectivity, and cooperation between individuals, communities, and nations. For the past eight years, a particular focus of her work has been environmental issues in the Tibetan plateau region, where she has been actively collaborating on-site with Buddhist monks and villagers to foster greater environmental consciousness through an array of ongoing community projects. 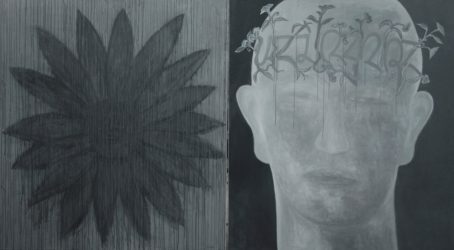 Shadow of the Past (2016) at Tyler Rollins Fine Art marked the first solo exhibition devoted to her artworks inspired by her ongoing experiences in Tibet, and featured a new installation and video works alongside a series of paintings. 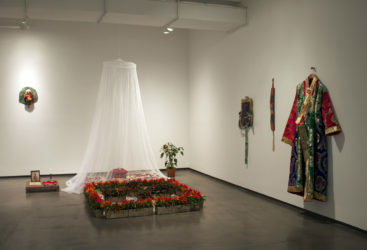 The exhibition explored themes of spirituality (particularly informed by Tibetan Buddhism), cultural syncretism, humanity’s interconnectedness with nature, and the place of the feminine in religious traditions and in spiritual life in general. Arahmaiani is fascinated by the buried past of her native Java, its rich Hindu-Buddhist cultural heritage – which is now often under-recognized – and the monumental temples that were overgrown for centuries until their rediscovery in more recent times. Indonesia once had vital centers of Buddhist learning that were sought out by students from across Asia, including Atisha (982–1054), who became one of Tibet’s most revered lamas. Tibet has become an important part of Arahmaini’s own spiritual journey, both as a woman and a Javanese Muslim. The exhibition featured an installation, Descending Rainbow, that was inspired by her meditation practice and her focus on ecology and the feminine. 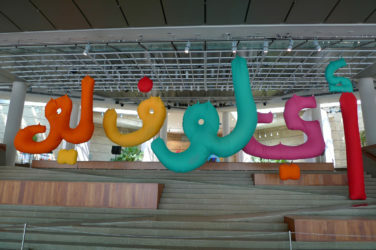 The installation was also the setting for a new performance work of the same title, which had its debut during the exhibition opening.